Giannis and Jabari Parker were both solid picks for the Bucks, but they both cost a first round pick. 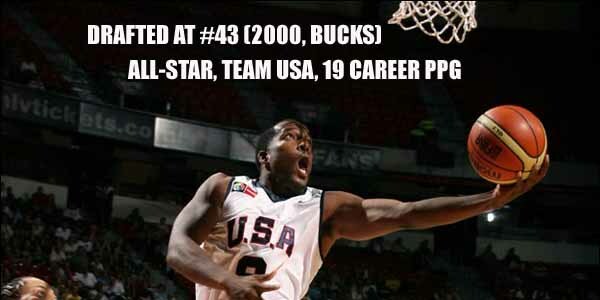 Michael Redd, however, was picked in #42 in the second round in 2000 and ended up with 19 career PPG and an All-Star appearance in 2004. Very impressive for a guy picked so low.